Fabrisonic has recently won a contest for new technology start-up companies in which the winners receive a booth at the 2016 IDTechEx show in Santa Clara, CA. Of the 10 companies who won, specialty areas include: 3D printing, Internet of Things, printing of electronics, sensors and more. There will also be 200 other exhibitors showing off their products and technology. The show runs from November 16-17, 2016. For a list of the other nine winners and more information about IDTechEx, click the link. For more information on the technology FABRISONIC can offer or if you want to see us at the show, go to our website or call 614.688.5197. It is important for current manufacturers to support the education and training of our next generation workforce. 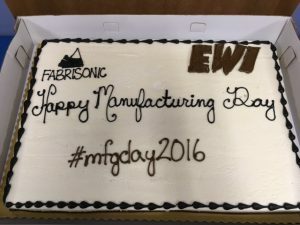 Last Friday, October 7th, 2016 was National Manufacturing day. 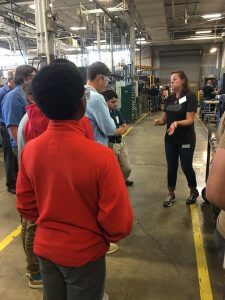 Fabrisonic along with EWI were able to host students from three different schools that ranged from sixth grade to seniors. 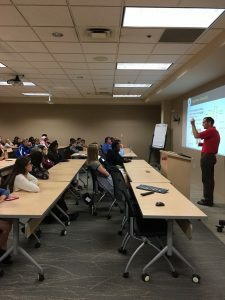 They were able to hear speakers from CEOs to engineers. 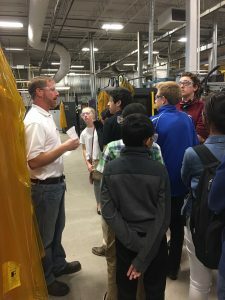 Everyone was given a tour of the facility showing all the cool technology that is possible when involved in research, development and manufacturing. Cake was also provided for a sweet end-of-the-morning snack. To read what EWI had to say click the link. For more information about what FABRISONIC can do for manufacturing, click the link to take you the website or call 614.688.5197.